Why did I go on sertraline in the first place? To put it bluntly, I had a breakdown which had been a long time coming and at the lowest point, I really scared myself. 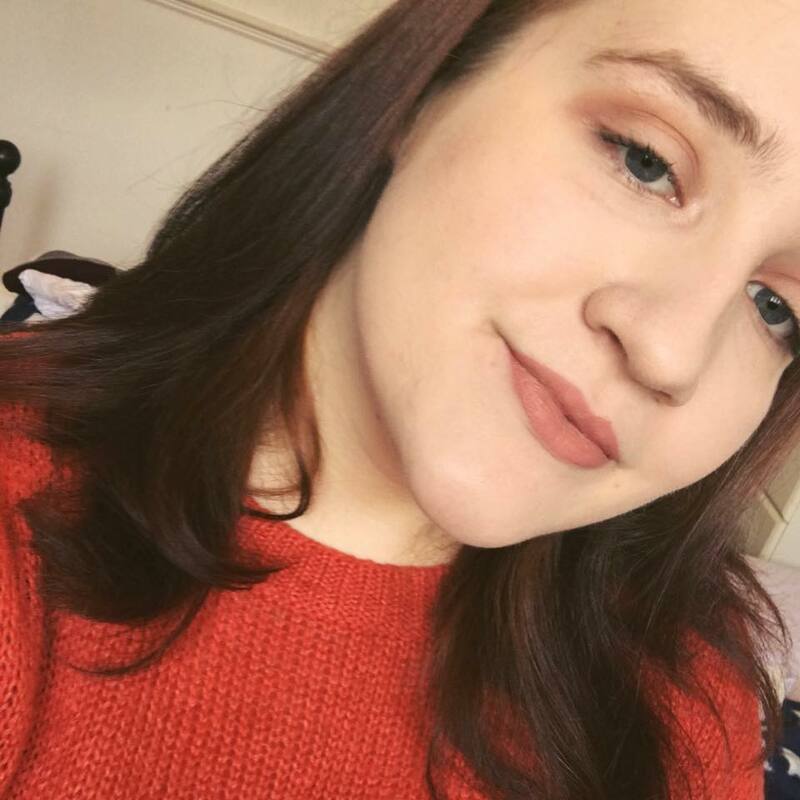 I was at the worst point I had been at in as long as I can remember and I was scared that if I didn't talk to a GP then I would end up in an even worse state. 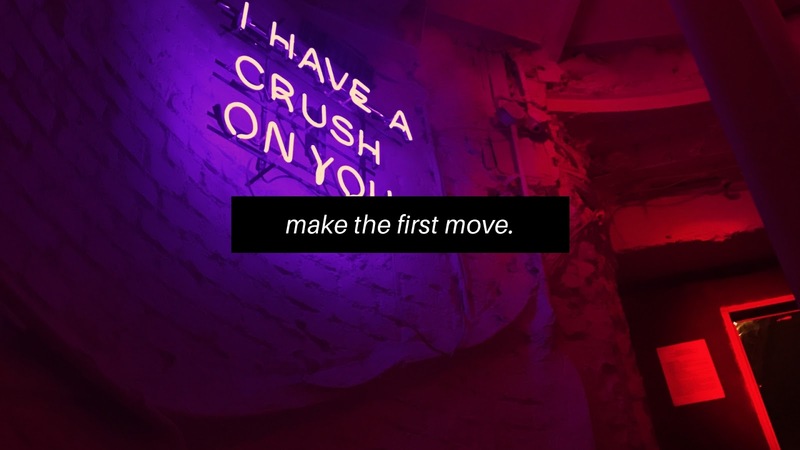 My mood was incredibly low, I was anxious all the time and I was overthinking and second guessing everything. I experienced a lot of intrusive thoughts about the people around me and how they felt about me, which led me to push almost everyone away. My self esteem was in the garbage and I felt scared that things would never improve. I had a very teary phone conversation with my GP first thing next morning and he managed to have an appointment for me by the next hour, so I was able to go in on the same day and didn't have to wait. We talked through everything that I was feeling and how hopeless I felt, since I had tried different routes of counselling and was scared to take medication. However, I agreed that meds were at least worth a shot so I was prescribed 50mg of sertraline and told to get back in contact with my counsellor. When the GP tells you that the first few weeks are the worst, they are totally right. I was no more depressed than before, but I was struggling a lot with anxiety. I would have random anxiety attacks in work and have to sit in the back room to recover for a while. I was also incredibly drowsy which led me into trouble when trying to concentrate on my work. The strangest side effect that I experienced, however, was a total lack of appetite for the first couple of weeks. I eat all day every day and for me to not be hungry is absolutely unheard of. However, when I started sertraline I would forget to eat a lot because I just didn't feel hungry! Acid reflux due to the combination of sertraline and my excessive coffee habits was also annoying but I discovered the beautiful curative powers of Gaviscon and it helped a lot! It wasn't all bad though! My sleep improved dramatically! Because I was drowsy, I would sleep earlier and wake up earlier. I missed fewer classes because I wasn't sleeping through them, and I wouldn't be up all through the early hours like I used to be. Plus, this first couple of weeks allowed me to focus more on my body, how it was reacting to the medication, and what still needed work. After the initial side effects began to subside, I began to realise that my mood was much more regulated and I felt a lot calmer. I spiralled into overthinking and depression a lot less, and when I did spiral it was a lot less severe. 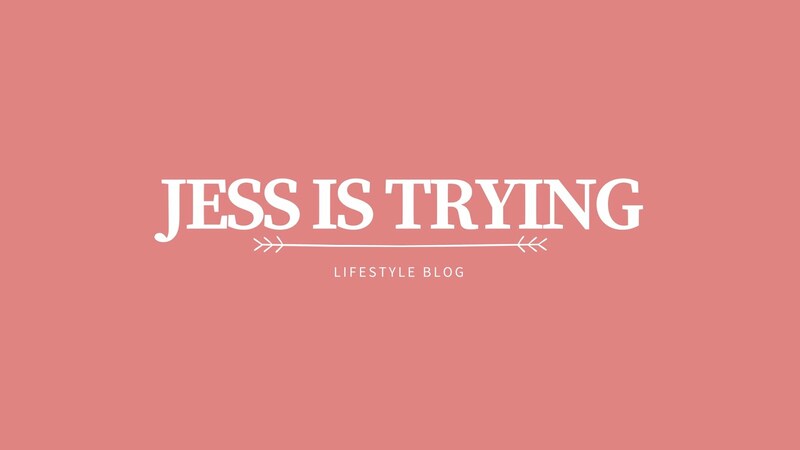 Once this change occurred, I started working more on my personal development and I have been able to balance so many more extra-curricular activities, I started this blog, I did more peer support volunteering, and I even completed an amazing summer internship. There have been ups and downs. I have gone from 50mg to 100mg and finally to my current dose of 150mg. I have been on 150mg for a long while now and it seems to work best for me. I feel calmer, more confident and a lot happier than I was. There are definitely still hiccups (like right now) and I have had to work hard mentally for where i'm at right now, but the sertraline has helped me to facilitate that work. I wouldn't be where I am if I was just taking the sertraline without working hard on my mental health, it's better to use alongside counselling/therapy. Still not 100% okay, but I've made progress and that's great! Yes, I still miss some lectures because I can't get up in the morning on a bad day, but I have the motivation to catch up on what i've missed rather than just panicking and not doing anything! I also feel a lot more resilient when things go wrong in my social life, whereas I used to immediately shut down at any sign of social problems. 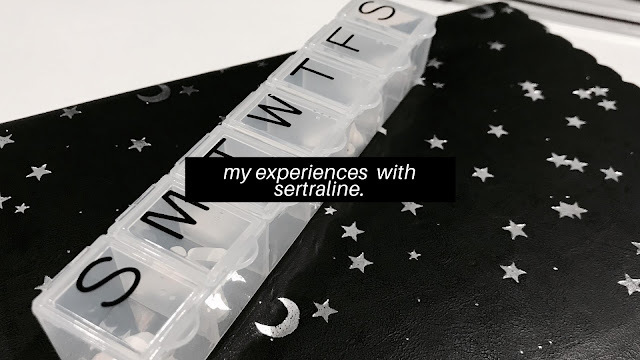 Disclaimer: this is just my experience, people react to sertraline differently and what works for me may work differently for you, I just know that some people wanted to hear my experience and I know that posts like these would have helped me when I started sertraline! I was at an event where I was mixing with a bunch of A Level students and telling them all about uni life and what to expect when a girl approached me looking like she had a pretty serious question to ask me. We sat to the side and I told her to ask me anything, and she told me that she was worried that everyone else around her seemed to know what they wanted to do post-graduation, even though they hadn't even begun their degrees. "Is it bad that I don't know what to do after education? When will I absolutely need to know?" She's not even in uni yet and she's already worried and anxious about finishing her degree. Here's the response I gave her and the advice I want to share on here with you. Taking risks or stepping out of your comfort zone will help you to figure out what you can and can't do well and what you do or don't enjoy. This even applies to choosing a degree subject or a job. It isn't a case of 'choose this and stick with it forever' and you won't know you enjoy it unless you give it a go. Some people around me have switched degrees and others have stuck with theirs. Some people have gone into a job thinking they would hate it and ended up loving it, others have had the opposite happen to them. A lot of what we do is trial and error, and you won't know whether something works for you unless you give it a try. The chances are that a lot of the people around you who are completely certain of what they want to do will end up changing their minds. As a psychology student, I started out wanting to work as a forensic psychologist and now i'm going into marketing as my career of choice. I have a friend who started out wanting to be a clinical psychologist and now she's set to become a teacher. Some people change their minds later in life and leave their long-time career to pursue something new. Nothing is set and nobody's plans are set. The fact that you don't have a plan will change before you know it, and then your new plan can change too. 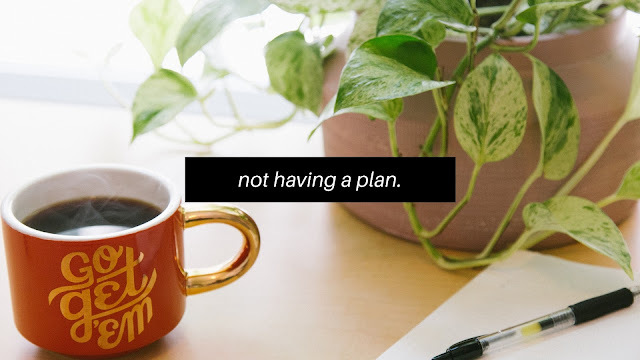 Don't have a plan now? You probably will have one after some time in university. 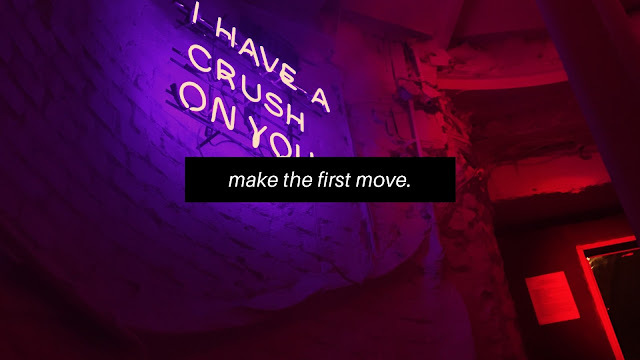 Try out all sorts of new things in university. It's the best place to do this! Join societies, get involved and take up opportunities even if you're unsure of whether they are for you. I decided to volunteer as a Welcome Hero at the start of my second year, which basically meant that throughout freshers' week I accompanied new students on trips around the area, I volunteered at the freshers' fair, and I spent a lot of time standing outside the Students' Union with a big arrow pointing people to events. I loved the buzz of Welcome Week so much that when the opportunity for a summer internship involving preparations for Welcome Week came up, I applied straight away and ended up getting a paid internship for the whole summer working in marketing for Welcome Week, as well as marketing for other aspects of the uni. I loved it so much that i'm now pursuing marketing as a career, something I hadn't even considered before! To cut a long story short, your 'plan' can come at the most unexpected of times, so just take up opportunities where you see them and you never know what might happen! Sidenote - taking up these opportunities will also look fab on your CV, whatever you decide to do! Time for a new kind of regular post!! 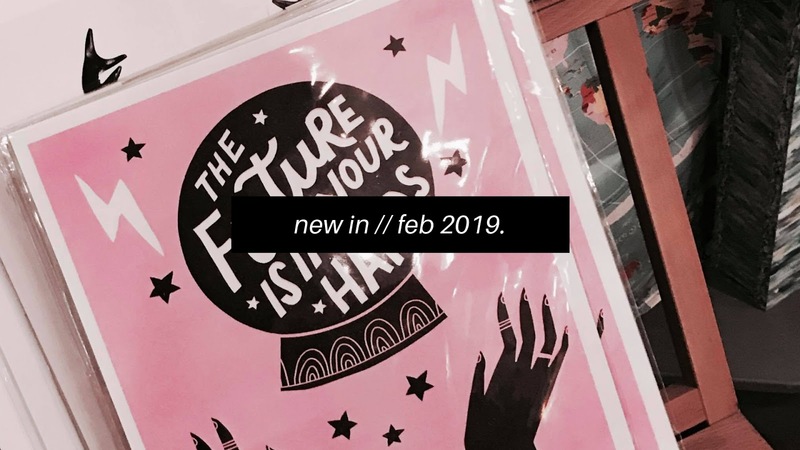 I wanted to find more monthly posts to fit into a regular-ish blogging schedule so here's 'New In', the update on all the new items in stores which I have been lusting after! So... here are all the things I am lusting after at the moment! Pretty Little Thing have one of my fave plus size ranges out there and this dress is super cute! It's definitely on my payday list as I always go for a size 16 in dresses! Love a spot print! 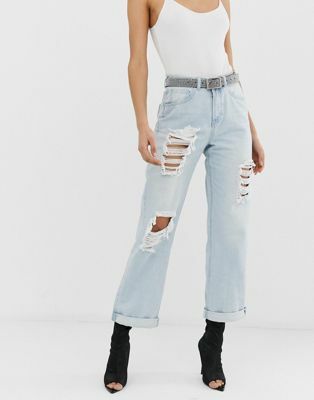 On the lookout for some new distressed jeans and these fit the bill perfectly! I'm usually a black jeans kinda gal so these will be a nice and welcome change in my spring wardrobe! Blaming Chloe for this one since she wears the cutest slogan tees! This one is super cute and definitely my style! I swear way too much in my day-to-day life so it's a good disclaimer I reckon! 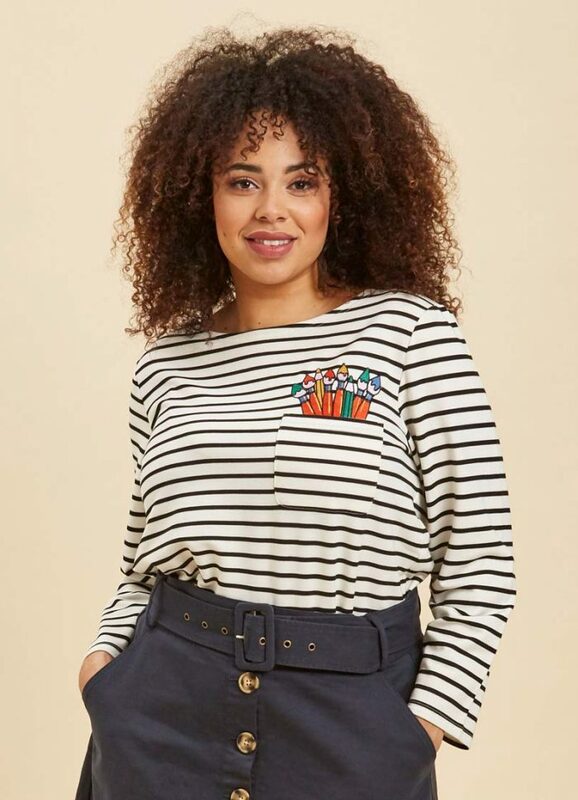 These are super cute and such an on-trend print right now! I'm ready for slightly warmer weather just so I can stop living in jeans and start living in culottes again! 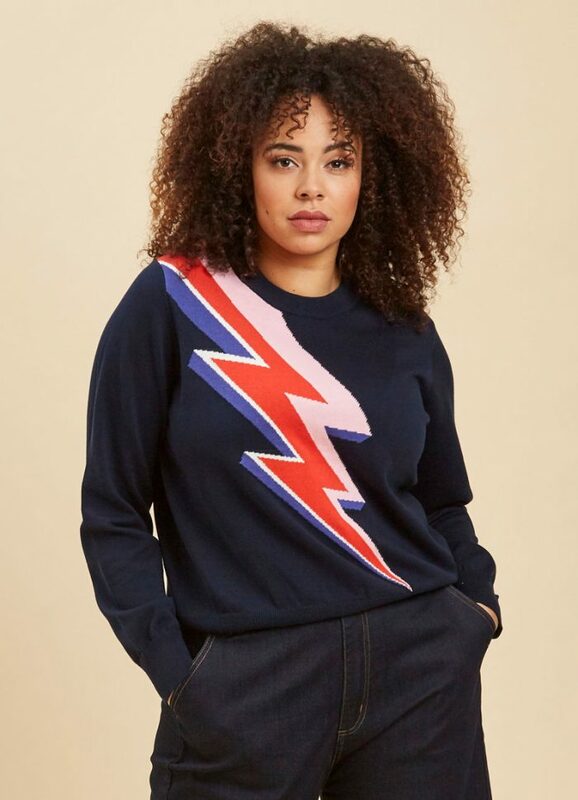 This jumper is giving me Ziggy Stardust vibes and I am obsessed! I wanna order this two sizes too large so I can completely disappear into it! In fact, I would happily disappear into any of the jumpers from Joanie Clothing, they're all so cute! I mean, what's not to love about this top? The front pocket, the paintbrushes, the cut of the neck, it's all a yes from me! I neeeeeed! All the pre-valentines themed fashion is getting to me a bit, I need it all! These boots, however, are my most lusted after piece. 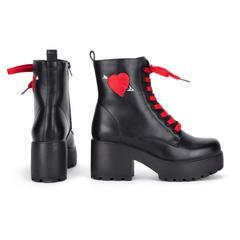 They're the exact boot style I love so much and that heart detailing is everything!